Your search for prince charming is no more! 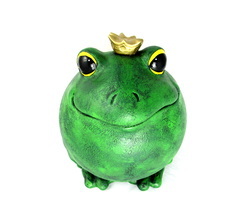 You have to kiss a lot of frogs to find prince charming..and here he is! 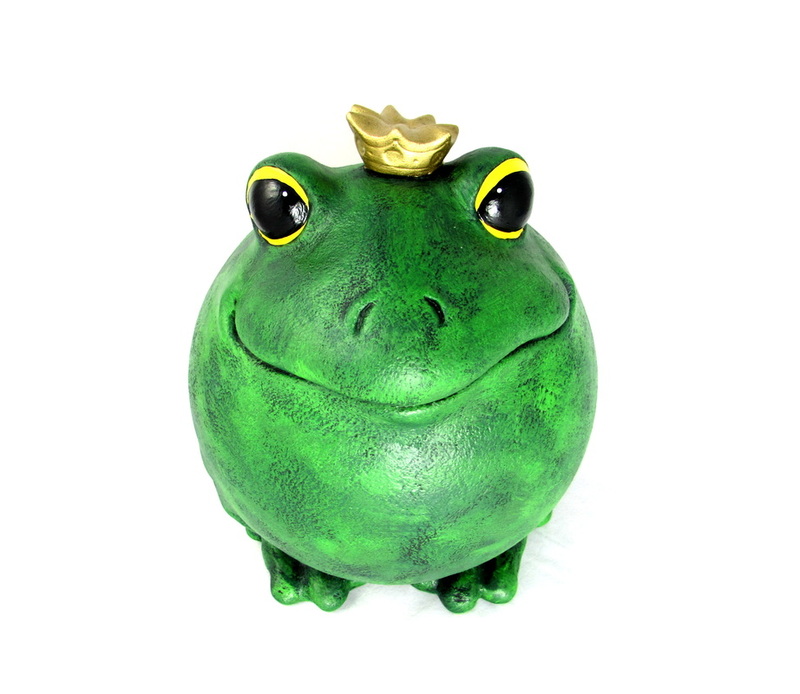 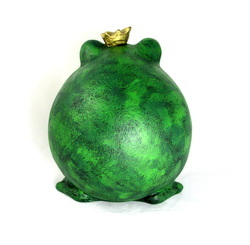 Ceramic hand painted prince charming garden frog with huge liquid-looking eyes.Vibrant and bright - the piece can also be custom coloured if you prefer a different type of frog. 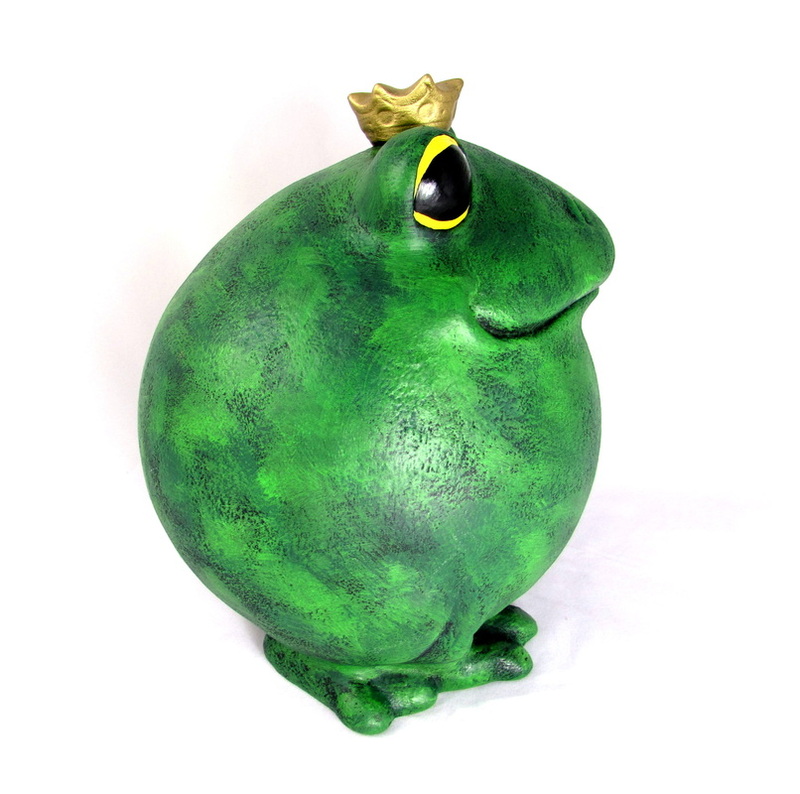 Please include colour specifications with your order. 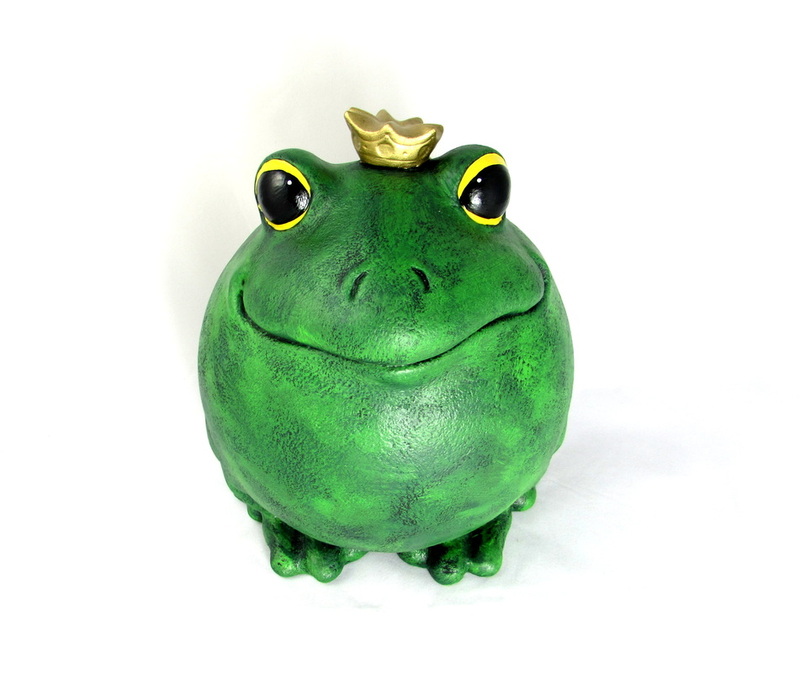 This frog is shades of green with a jaunty golden crown on his head. 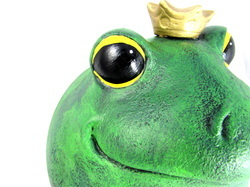 The eyes are brushed with a high gloss finish to give big, bright, wet looking eyes. Weatherproof finish makes this piece great for outdoor decor such as in your lawn and garden.